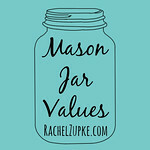 Want to hear more from Mason Jar Values? Subscribe for encouragement, DIY, recipes, and more. 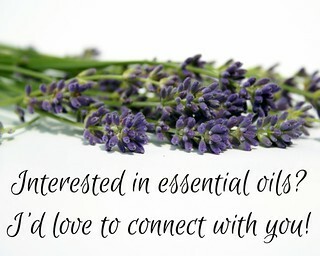 Enter your email address and get Mason Jar Values sent straight to your inbox each week. Once every six months (for Serafina, 3 months for Caleb), I tackle the task of transitioning clothes through the dresser for our growing kiddos. It’s like going shopping thanks to incredibly generous friends further along in this parenting adventure than we are that consistently give us hand-me-down clothes and toys for both our son and daughter. While I buy shoes new, I have only bought a handful of clothing items for both kiddos. We’ve also been given clothes from other people (one of my sister’s coworkers, for example) that have given us a complete stash of clothes for a boy and a girl through 4T and kids 6, respectively. Hand-me-downs are the best! I could not be more grateful considering how expensive clothing is and how quickly kiddos go through the different sizes! We do, however, have finite space (don’t we all?) so the question begs, where do I put it all? Well, I don’t keep everything. I try to keep 1 bin per gender per size aaaand since I’m obsessed with teal, I convinced my hubby to let me buy the pretty ones from Target. We’re saving money by not buying clothes, right? :) Keeping clothes to one bin per gender per size is easier when the clothes are smaller and harder when the clothes are bigger: I have a newborn-6 month bin but 4T-5T share 3 bins. Since it’s hard to judge in which seasons they’ll hit certain sizes, I do keep at least a few of the hot/cold specific items (swim suits and winter jackets). Going through a new bag of hand-me-downs is like going shopping! I actually can’t stand shopping for myself (nothing ever fits, it takes too much time) or my kids (too stressful!) so this perfect especially since I get to do it in my living room. The clothes we don’t keep get donated to our local pregnancy resource center, where expectant moms can shop for free in exchange for attending parenting classes, or to other families through our local Buy Nothing community. A peek at the process of transitioning hand-me-downs…the growing give-away pile is in the back upper left of this pic. The OCD in me really comes out when it comes time to put things in the dresser. We have a small closet in the kids’ room for dresses and nice shirts and pants as well as a dresser with 6 spacious drawers. That means there are 3 drawers for our 9 month old and 3 for our 3 year old. Having any more than this is much more than we need. It also helps with the amount of laundry to cram put into the drawers as well as with the simplicity of finding clothes for my 3 year old (tips on that below). As for the method, I’ve found that it’s easiest to lay out the drawers on the guest bed and grab the new bin(s). Once sorted, if they don’t fit in the drawers, we don’t keep them, passing on the goodness. Folding brings out my OCD…I love arranging things neatly and getting everything to fit just right. It’s hard to get rid of things but also good for me to continually learn to not hoard especially as we’ve been given so much. Lastly, our off-to-preschool daughter loves doing things herself (she’s been saying “I do it” since she was 18 months old). To both feed this desire for freedom but also add a layer of responsibility, I printed off little icons of children’s clothing, cut them out, and taped them to her drawers where each type of item is stored. She helps put her clothes away and also gets to pick them out each morning. Hand-me-downs help our bottom line but they also give our kids an amazing array of clothes without the time required to do all that shopping. I’m grateful for both the money aspect and the time aspect…I’d much rather play dress up with a huge bin of clothes and pare it down to what we’ll actually wear than wade through racks at the store any day. I definitely have friends who prefer it the other way (and I’m extremely thankful they share their bounty with me!) so I know that how we do it as a family is not the only way. If you do benefit from hand-me-downs, do you have any additional tips for transitioning clothes from season to season? I’d love any input you might share!